JAMB and Schools have been sending warning messages (SMS) or website notice to admission seekers that they should make sure their O’level results are uploaded to both the school and JAMB portal. How will I be sure that my O’level result has been uploaded to the JAMB portal? Do I have to visit CBT center or Café to check if the result was uploaded really? How can I confirm the upload online? 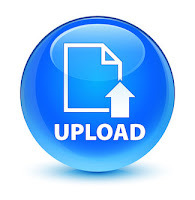 Can I be able to check the upload on JAMB portal through my profile? How will I upload my result to JAMB website? Most students had already uploaded their results to school portals (during post UTME/screening registration) and there’s no need to worry about that. But what of the upload to the website of Joint Admissions and Matriculation Board as instructed by the body. Does Re-uploading of Result Affect All Admission Seekers? If you’ve already uploaded your SSCE results earlier during your UTME registration, you don’t need to re-upload it again. The instruction/warning is more directed to applicants who used awaiting results during the registration because they were looking up to WAEC, NECO, NABTEB, NBAIS or GCE results to be released. Since they used AR, they must go back to CBT center to upload their own results too. Read more in my post, “How to Upload WAEC, NECO, NABTEB or NBAIS results to JAMB portal”. Candidates who had used one result earlier but wish to replace or change it, can equally go back to CBT center and plead for replacement. However, I'd got notice that some CBT centres failed to upload most candidates' results during UTME registration due to some issues they faced while the registration was on-going. This was why I release another comprehensive guide to help you understand what to do next. Check, "NO ADMISSION YET, Why O’level Result is the Reason for Delay"
How will I know if my results are uploaded already? Now that you’re sure you had earlier submitted your SSCE results for CBT centre or you’ve gone back to upload the awaiting results, you may want to be sure they did it for you. How do you go by this? Unfortunately, there is no any open chance for you to know if your results had been truly uploaded through your JAMB profile (at least not yet). There’s no way a café can check for you and tell you whether your results were uploaded or not. To be sure you’re safe, kindly visit any CBT center and plead they should help you confirm if it’s done. I advise you use another CBT center than the one you registered with. I can’t say if this will attract any payment, you should be ready to pay to please yourself. However, there is no need to doubt it, if a CBT center had assured you during your registration that they had done it. That’s their work and what they are paid for. But if your school has released their admission lists, you merit to be on the lists but unfortunately you're not. Then, something must be wrong and it could be the O'level results missing. Please share this post to relieve other admission seekers of the worry about uploading and re-uploading of SSCE result issues. Use the share icons below this post for your convenience.